The year of mergers continues with the news that William Hill and Amaya Gaming Group have entered discussions over a mega-money partnership. If it goes through, the reported AUD $8 billion deal will create a new super heavyweight of the worldwide gambling industry. It would also be the third major merger involving top British bookmakers in 2016. Irish betting giant Paddy Power, which owns Sportsbet.com.au, teamed up with Betfair back in February, while Ladbrokes and Gala Coral hitched their wagons together in July. For Hills, which entered the Australian market in 2015 after taking over Centrebet, Sportingbet and Tom Waterhouse, such an arrangement could help rescue an online betting business that has failed to live up to expectations. While the UK bookmaking giant maintains a strong land-based presence through betting shops on the British high streets and in Nevada, its internet gaming operations recorded a profit slump of some GBP £25 million (AUD $40m) back in March. Hills attempted to strengthen its struggling online poker and casino branches in 2015 with a failed buy-out of 888 Poker, whose parent company, 888 Holdings, responded in kind with a similarly ill-fated bid to take over the British bookie earlier this year. 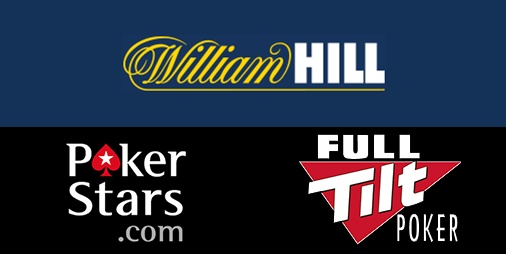 This new partnership prospect would see William Hill join forces with the highly successful PokerStars and Full Tilt Poker brands, both of which Amaya – a Canadian tech firm based in Montreal – bought out in a shock 2014 deal worth US $4.9 million (AUD $7.97m). There are roadblocks to be negotiated yet, however, most notably the allegations of insider trading and all-round corporate corruption levelled at former Amaya CEO David Baazov. A recent proposal from the government of Tasmania could see the state’s existing poker machine operators subjected to controversial new testing standards. 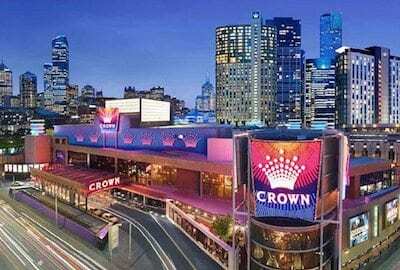 Current legislation requires venues applying for pokies licenses to undergo public interest evaluations designed to ensure certain regions are not overcrowded with gaming machines. Under the new rules proposed last week, those same standards could be forced on gaming venues whose licensed pokies operations predate such testing. Since March, the Tasmanian government has sought to address growing public concerns about the supposed overpopulation of pokie machines in particular parts of the state. One such hotspot is the northern Hobart suburb of Glenorchy, where residents lose around $20 million per year on the region’s 270 electronic gaming machines. There are currently over 3400 pokies games operating in Tasmania, more than 2300 of which are run by clubs, pubs and hotels. One party hoping to avoid any new poker machine testing standards is the Federal Group, which is eager to press ahead with mass upgrades to its gambling facilities at Hobart’s Wrest Point Casino and Launceston’s Country Club Casino. Australian gaming giant Aristocrat Leisure has expanded its American operations yet again after sealing a deal with the Shooting Star Casino, Hotel and Event Center in Mahnomen, Minnesota. The agreement will see the White Earth Nation property – a Native American operation – convert to the award-winning Oasis 360 casino management system. Already used by a number of United States casinos, Oasis 360 allows gaming managers to combine accounts, marketing and other business streams into a single operational platform. The system will also be installed at the new Star Lake Casino, which is scheduled to open in Otter Tail County, Minnesota in 2017. This is just the latest in a series of power moves that have seen Aristocrat’s US presence rise drastically in recent years. In 2014, the Australian pokies maker took over Video Gaming Technologies in a US $1.38 billion (AUD $1.8bn) grab that would, according to industry estimations, increase the company’s US gaming machine tally from around 8200 to well over 20,000. Aristocrat is presently the world’s second largest manufacturer of pokies, slots and other electronic gaming machines, behind only the multinational International Gaming Technology (IGT). Play over 1300 real money pokies online at SlotsMillion.com – one of Australia’s most trusted online casinos.